Performed by professionals, fundamental to the maintenance of oral health, the prevention of the onset of periodontal disease. Not for everyone brushing your teeth or using dental floss, cleaning brushes and mouthwash is enough. Even assuming that the aforementioned domestic cleaning operations are properly performed, in many cases a preventive and planned cleaning is recommended by a professional hygienist. The dental hygiene operated every six months guarantees the prevention of caries thanks to the removal of tartar and disinfection by bacteria, as well as allowing to detect hidden caries due to the abundance of covering tartar. The health of our customers and the well-being of our patients is a result of us working in unison. 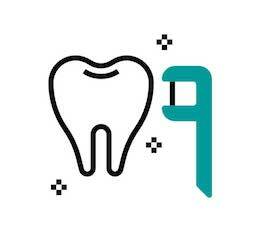 The professional hygienist, who returns to the teeth their natural state of cleanliness, plays a key preliminary role in any diagnostic development or further intervention. This involves the removal of the tartar and disinfecting the mouth to better identify local problems, such as caries and gum infections, that might otherwise not be detected. These can then be treated a ta later point in time. This work is done by professionals who are focused on helping you maintain oral health, prevent the onset of periodontal disease (pyorrhea), and ensure that any conservative and prosthetic work that is performed is maintained over time. Therapy includes one or more sessions of professional ambulatory cleaning or hygiene, followed where necessary by one or more scaling sessions which allow for the sub-gingival removal of plaque and tartar, which can cause periodontal disease.